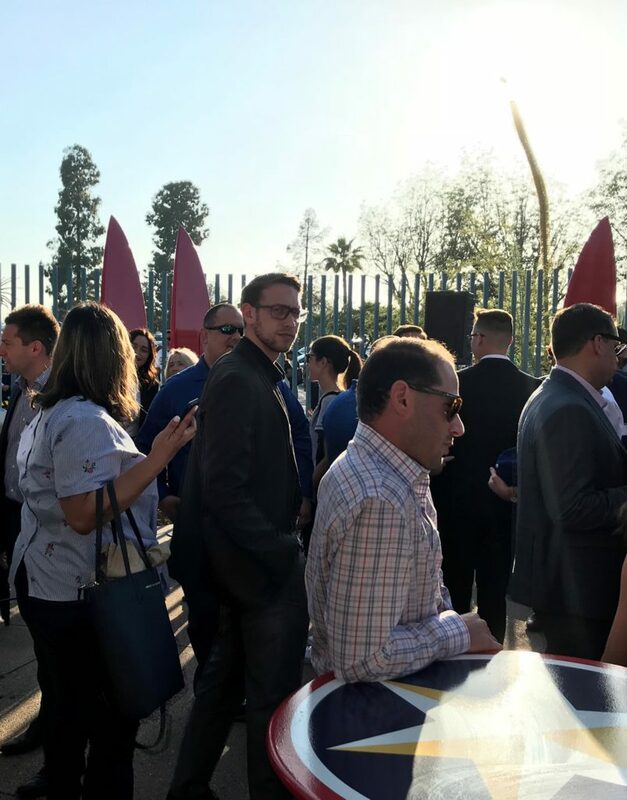 TeamWork Online held their third annual networking event at Dodger Stadium Wednesday May 9, 2018 for professionals who seek to get hired into the sports industry. The event included sporting executives from several Los Angeles teams and stadiums. There were over 12 representatives from the LA Sparks, LA Kings, LA Lakers, LA Chargers, Rams and Dodgers. All the executives gave a quick 30-second intro and explained who they worked for, followed by a fun fact about themselves. TeamWork Online works hand in hand with sports teams and those who seek employment in the sports industry. Each year, the event is an opportunity to speak to executives and ask them questions regarding their work in the industry. Each attendee was advised to take their business cards and dress business casual. The executives spoke about their job title, along with a little insight about themselves and the work they do. The ticket for the event also included entrance to the game against the Arizona Diamondbacks. That night, they were giving away Justin Turner bobble heads, which filled the stadium more than usual. Entering the event, you were given your name tag. Those in attendance were able to network with one another before the event kicked off. There were 50 people from all walks of life, but it was mostly male dominated. As people broke away after the event to speak to executives, it began to get more crowded. Many people attempted to cut into conversation to sell themselves and potentially get a job or internship. This event was an eye-opener to many in attendance of the competitiveness within this industry. David Siegel, Vice President of Ticket Sales for the Dodgers, is on his 22nd season with the Dodgers and has worked with all four owners of the franchise. He gave advice for those who are trying to break into the sport industry. As the event continued, the importance of having a business card became clear. Resumes are discouraged by the event because they highly encourage professionals to have their own business cards. Days after the event, TeamWork Online emailed those who attended the event. The email gave advice on how to follow-up with executives and the correct approach to use when sending them emails. TeamWork thanked those who attended and is open to criticism to make the event better as the years go on.